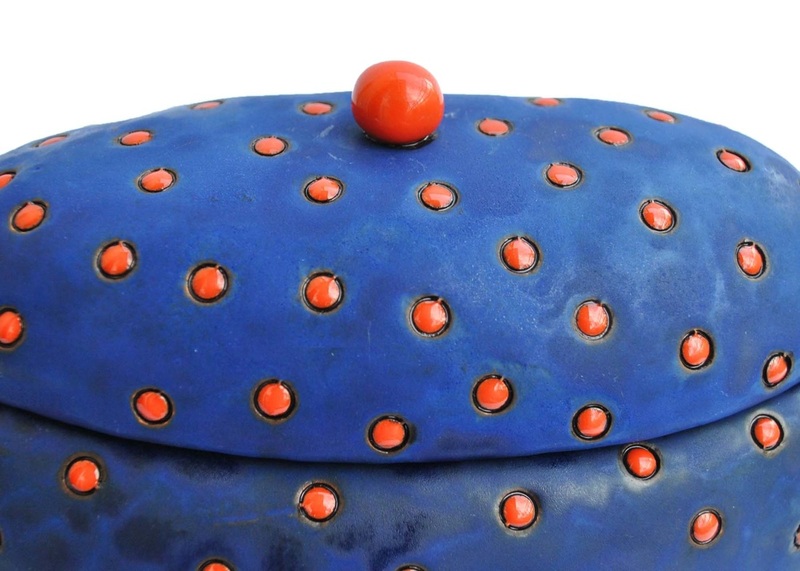 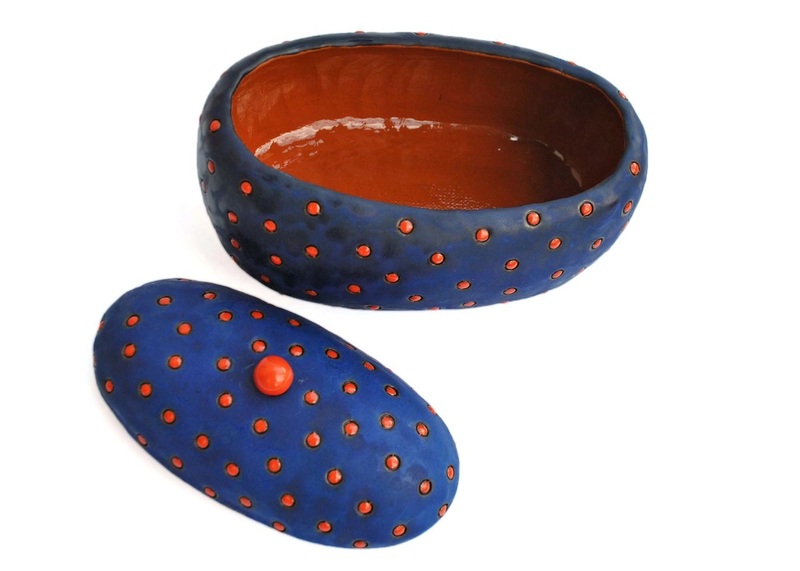 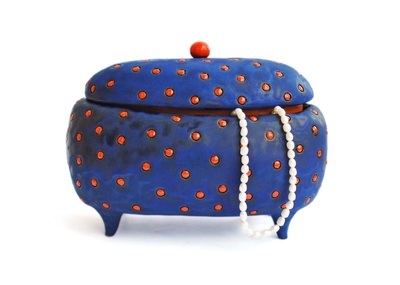 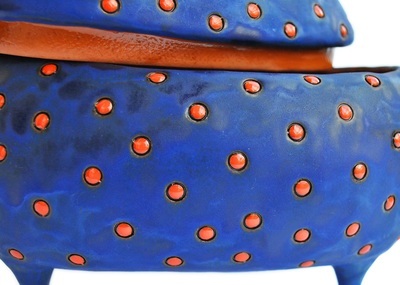 This matte blue jewellery box with orange polka dots looks and feels soft like velvet. 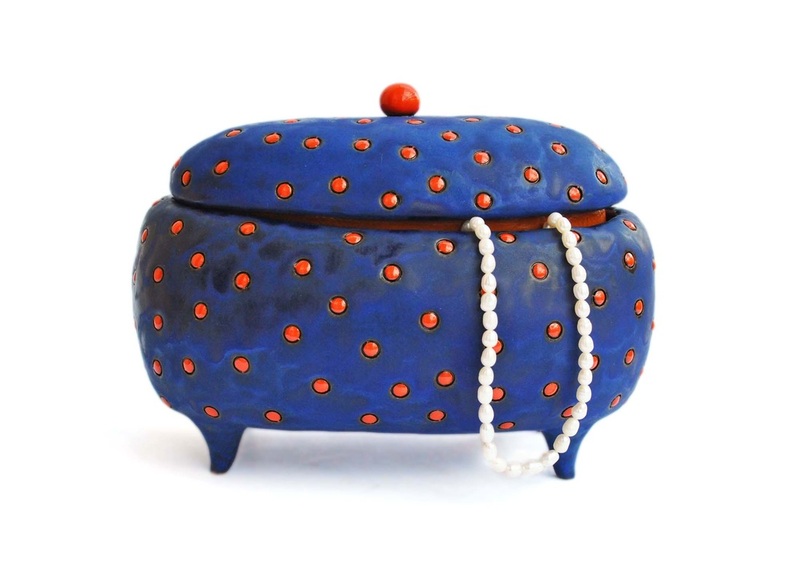 A sophisticated yet playful touch for your dresser or a statement item for your bookshelf. 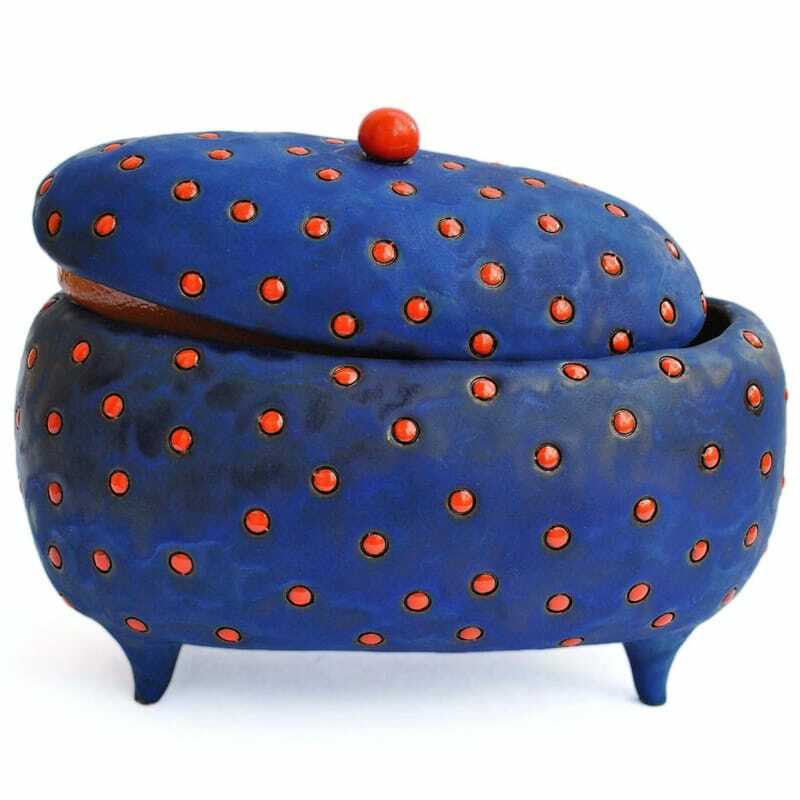 Size approximately 14 cm (5.51 in) tall, ~18 cm (7.1 in) wide (at its widest).